Brookey is a beach bum at heart with dreams of sand between her toes. When you see her sunny disposition you would never suspect that this happy go lucky, one-year-old pup was ever at risk of an uncertain future. 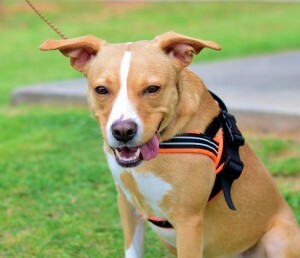 Brookey was diagnosed with heartworm disease at the shelter, but with treatment and plenty of care, Brookey is all smiles now and ready to find a forever home. She’s a spunky blonde, with trendy white highlights; her medium size and bright mind make her a great fit for homes of any shape or size. Brookey would love to have fun in the sun with the whole family, and could fit well into the life of one special person or a family full of dog savvy children. She is a treasure chest just waiting to be found, and all you’ll need to bring and ocean of love to your home is a visit with this one of a kind girl. Connie offers an opportunity for friendship that doesn’t come around every day. A turnkey cat with a wealth of standout traits, she is full-grown and about 3 years old, but her petite frame gives her a kitten’s appearance. Her onyx coat gleams with a tiny white star peeking out from her chest. Connie cuddles with volunteers young and old and she also plays well with other pets. Her friendly face is one of the first to greet visitors to the Adoption Center and she never shies away from making a new friend. As if she was made-to-order, Connie even has impeccable house manners and could happily live indoors. 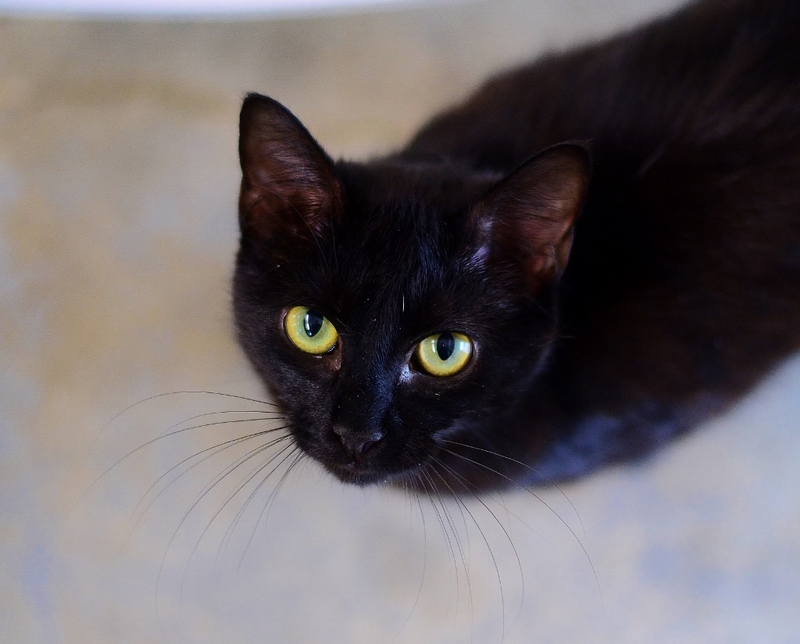 Her litter box stays tidy and her sleek coat requires little care, so Connie would make a wonderful new pet for first time cat owners, as well as seasoned pros. Meet Connie today for the opportunity to make a lifelong feline friend.